Web Browsers have a built in feature of Saved login. If opted for, the web browser keeps saving login information of users as they keep visiting various websites. This information is then auto entered in the Username and Password fields, each time the user revisits. In this article we shall see the pros and cons of utilizing this feature and any alternatives available. Saved login is a feature purely from convenience point of view. You do no have to keep remembering Usernames and Passwords for each website. Record keeping of all you login credentials can be done by a number of ways. 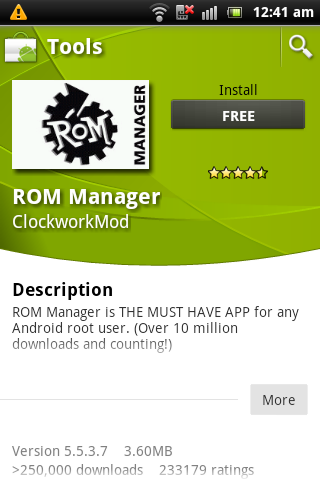 You can use a Password Manager software to store all login information. In case of notebooks, many manufacturers have bundled a fingerprint sensor. This enables login by fingerprint and the software keeps all the records of passwords for various websites. HP SimplePass Identity Protection is one such example. Web Browsers on the other hand have their own ways of capturing and saving login information. The saved data is then automatically entered once the user visits the website next time. If you notice, the Remember me option in the picture is an signal to the browser to save the login details. Once saved, the next time the website is visited, the login details are automatically filled in by the browser. To reach Saved logins go to Menu and click Options. Saved logins is found under Security Tab. Here the option for saving login details can be enabled or disabled. Facility of Master Password is also provided by Firefox. Also exceptions can be added so that every time, Firefox does not have to prompt you to save login details. 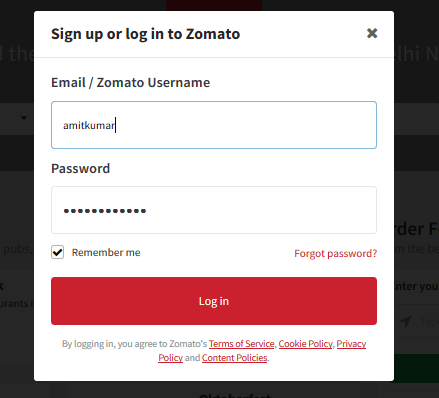 Clicking the Saved Login button opens a popup which shows the website list along with the username and details like first used, last used and number of times used. There is another button which shows the password after accepting one prompt. There is also a nifty search box to zoom down to the exact website. 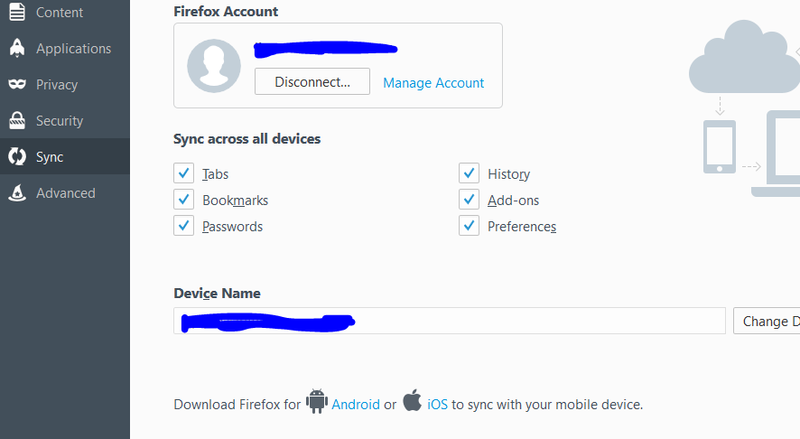 The killer feature of Firefox is the sync of account information across multiple devices. This means that if your firefox browser has been enabled with a firefox account, the password information can be synced across multiple devices. The password sync if required can be disabled. 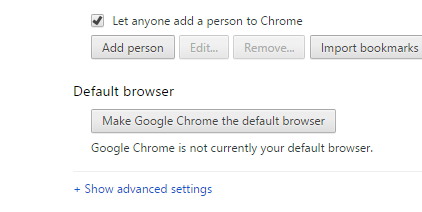 A Google Account can be connected to Chrome. 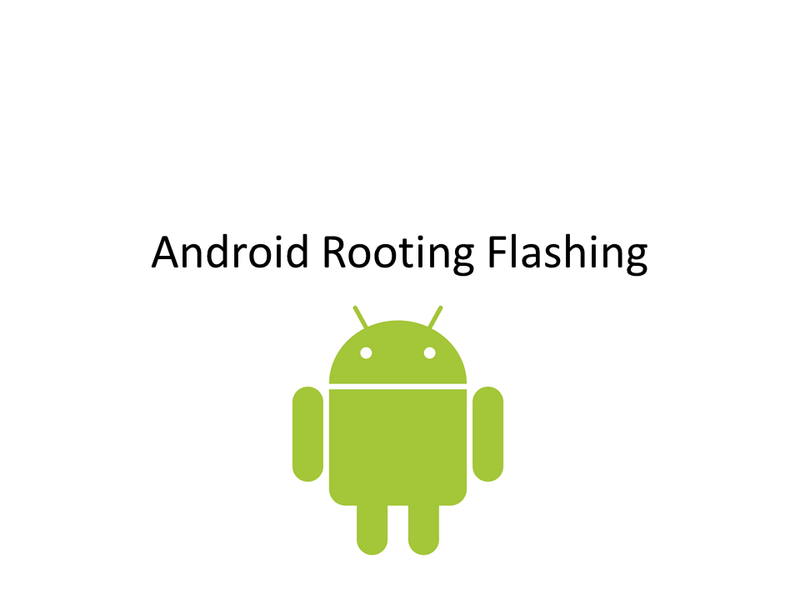 This enables sync of passwords and other information across devices. Without the account connected, it will only be locally stored in the chrome browser. This is important if you do not want your information to be stored in some remote server. Customisation and control settings for Chrome is accessed from top right at the three vertical dots. Password setting can be accessed by clicking on advanced settings. We have two settings for storing login information in Chrome. Auto-fill is the killer feature of Chrome. It makes easy the tedious task of filing up forms every now and then on various websites. Passwords are managed at Google Smart Lock. In case of Chrome, there is an additional layer of security by asking for the admin Windows password before displaying any stored password. Online Password Management is at the following URL. Internet Explorer enjoys the advantage of coming bundled with Windows OS. It therefore becomes the default Web Browser of choice for most users. To access saved login information go to Tools and Internet Options. Under the Content tab is AutoComplete. Internet Explorer has the following options for AutoComplete. Windows Credentials manager in Windows 10 manages the passwords. Windows Credential manager is part of Control Panel. 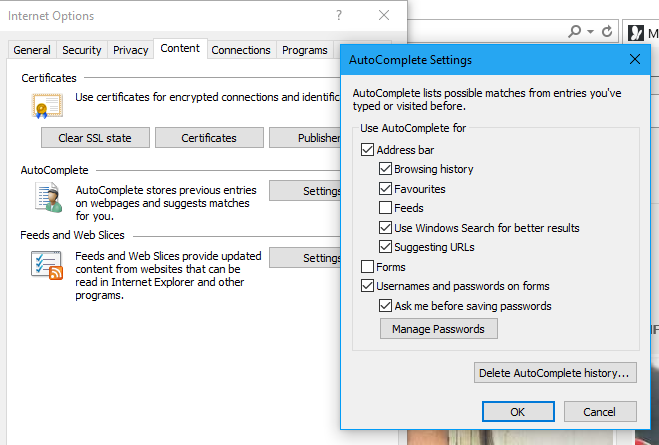 We get lots of options over settings including that useful Delete AutoComplete history button. Between the three main options available, Chrome Browser provides the best balance between security and convenience. Both Chrome and Firefox update their features regularly.